This special photo album + CD product illustrates the unforgettable experience of summers in Finland, which have inspired so many Finnish composers to write some of their greatest works. Finland is perhaps best known for its peacefulness and beautiful nature: vast forests, a unique archipelago and thousands of lakes present a striking mixture of wooded hills and waters. The best season to discover this pristine wilderness is summer, which in Finland is characterized by long days and - in more norther regions where the sun is visible for continuous 24 hours - by the dazzling phenomenon of the Midnight Sun. 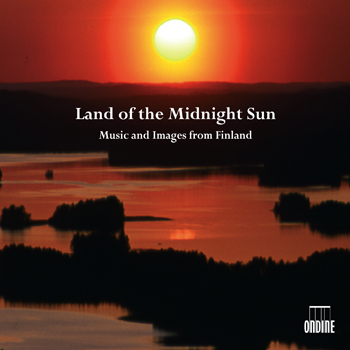 15 outstanding nature photographs and 24 tracks of wonderful Finnish classical music invite to discover or remember the uniqueness of Finland as Land of the Midnight Sun.